SpaceX CEO Elon Musk says the company’s Raptor engine, meant to power Starship and Super Heavy, has surpassed a rocketry record held by Russian scientists and engineers for more than two decades. 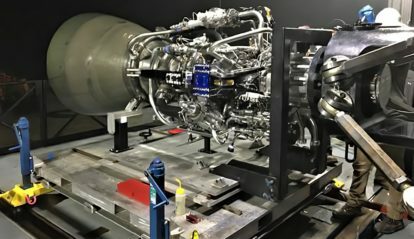 Known as combustion chamber pressure, Raptor has reportedly surpassed a modern Russian engine known as the RD-180, reaching forces equivalent to one Tesla Model 3 balanced on every square inch of Raptor’s combustion chamber, the hardware directly adjacent to a rocket engine’s bell-shaped nozzle. First and foremost, it’s far too early to actually crown Raptor as the new official record-holder for combustion chamber pressure. RD-180 has been reliably flying on ULA’s Atlas V rocket with chamber pressures as high ~267 bar (3870 psi) since the year 2000, while Raptor has been performing subscale integrated testing for roughly two years and full-scale integrated testing for less than seven days. As such, the fact that full-scale Raptor has achieved ~269 bar (3900 psi) is an almost unbelievably impressive achievement but probably shouldn’t be used to jump to any conclusions just yet. Thanks to the 10-20% performance boost supercool liquid methane and oxygen will bring Raptor, currently stuck using propellant just barely cold enough to remain liquid, the engine performing tests could already be made to reach its design specification of 300 bar (4350 psi), although Musk cautioned that he wasn’t sure Raptor would be able to survive that power in its current iteration. Nevertheless, 250 bar is apparently more than enough to operate Starship and its Super Heavy booster during most regimes of flight, although maximum thrust (and thus max chamber pressures) is probably desirable for the first minute or so after launch when gravity losses are most significant. As of 2017, Raptor’s McGregor, Texas test cell was fundamentally capped at test durations under 100 seconds, making comparisons difficult. Still, the best possible recent point of comparison to Raptor’s test program can be found in NASA’s series of tests of Space Shuttle engines in preparation for the Space Launch System (SLS) rocket, an expendable launch vehicle being built by Boeing, Aerojet-Rocketdyne, NGIS (formerly Orbital-ATK), and others with NASA funds. Known as RS-25 under the SLS Program, the Space Shuttle engines being test-fired by NASA have already performed multiple full-duration missions to orbit and back on the four Space Shuttle orbiters built. After half a decade in storage, they are being re-tested (effectively acceptance testing) to ensure that they are ready to be expended on SLS launches. In the first round of 2015 tests, NASA’s Stennis Space Center test stage supported six RS-25 static-fires total, ranging from two weeks to almost five months between tests. RS-25 testing has remained on a similar schedule in 2016-2018, averaging 4-6 tests annually with no fewer than two weeks between static-fires. Given that the vast majority of those ex-Space Shuttle Main Engine tests tend to last hundreds of seconds, it’s not a perfect comparison, but it offers at least a general idea of just how incredible it is to see a groundbreaking engine like Raptor test-fired almost daily just days after it was installed on a test stand for the first time.